This book explores and clarifies all the major issues and developments within ‘family theorising’. It covers the extraordinary growth and variety of approaches to the family over the last decade, the most significant being the impact of feminism and the professional and state intervention into the family through marital and family therapy. The author focuses on the growth of family counselling, giving a detailed analysis of the Home Office publication, Marriage Matters. He looks at the rapid growth of historical studies of the family, European theoretical developments, the work of the Rapoports, the role of systems theorising, and phenomenological and critical approaches to the family. 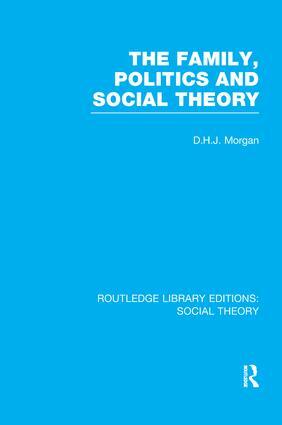 He shows the relevance of family theorising for contemporary debates about the state of marriage and the family, and argues for the centrality of ‘family themes’ within wider sociological debates.